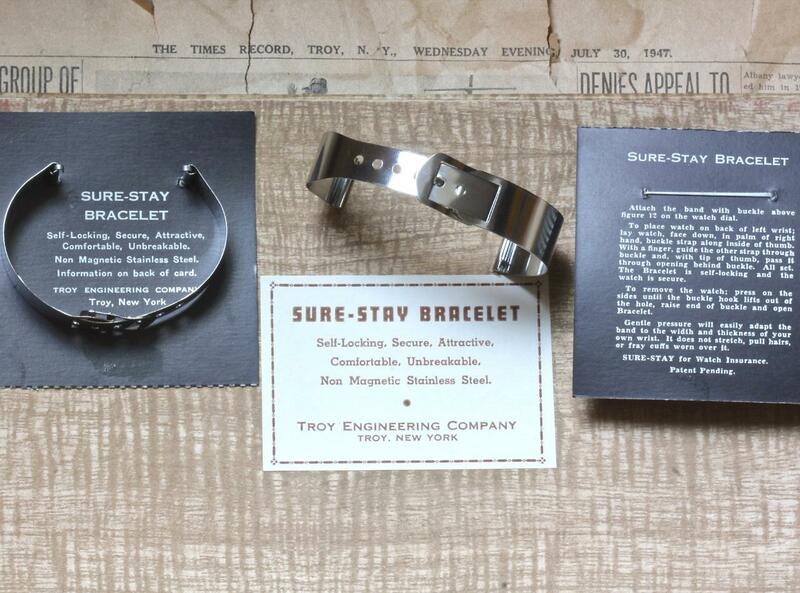 These WW2 new old stock Sure-Stay Stainless Steel cuff bands came to me preserved in a box wrapped in a 1947 newspaper from Troy, N.Y., where these were American-made by Troy Engineering Co. I am offering these at a very reasonable $29.99 each including U.S. shipping, or you can get 6 for $150 in their original display box, while my supply lasts. 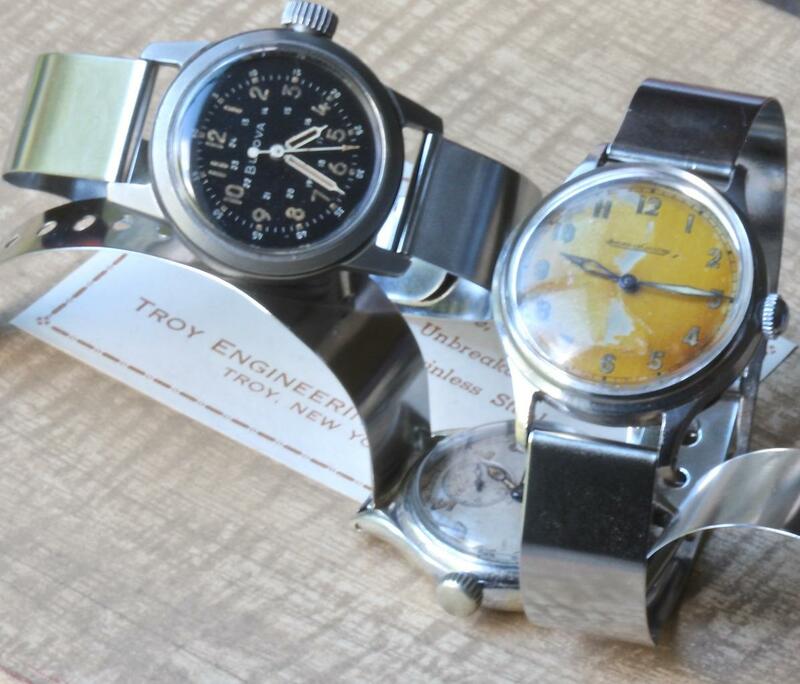 These bands are just right for 16mm military watches like the Bulova A-17 shown and look great on military type watches like the Jaeger-Lecoultre 1940s tropical dial. The ends can also slip over fixed lugs. The original sales card that your band will come on describes the function best. They size on really easily; you slide tail into the slot and as you clasp the band down the tang moves hole to hole until the fit is right. The band is self-locking. To remove, you clamp the band in and the band pops apart. Really cool. Very light and comfortable on the wrist. Fantastic band to move from watch to watch in your collection. 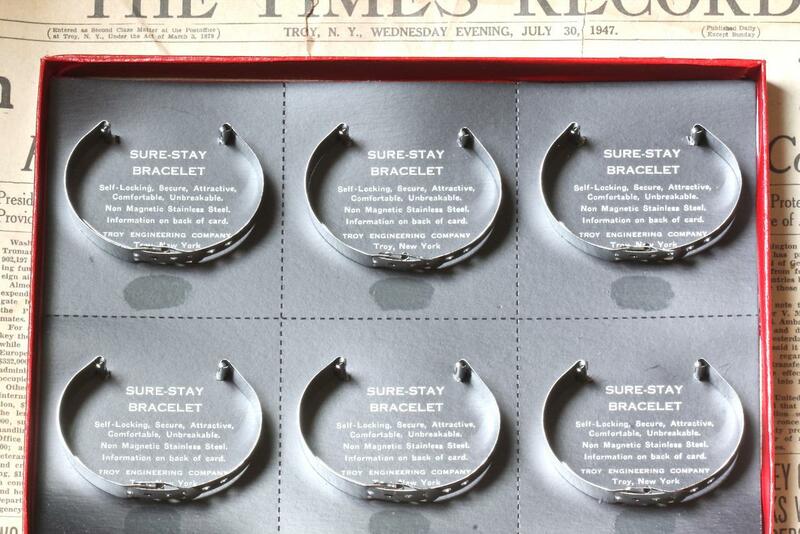 The clasp has 6 sizing holes. 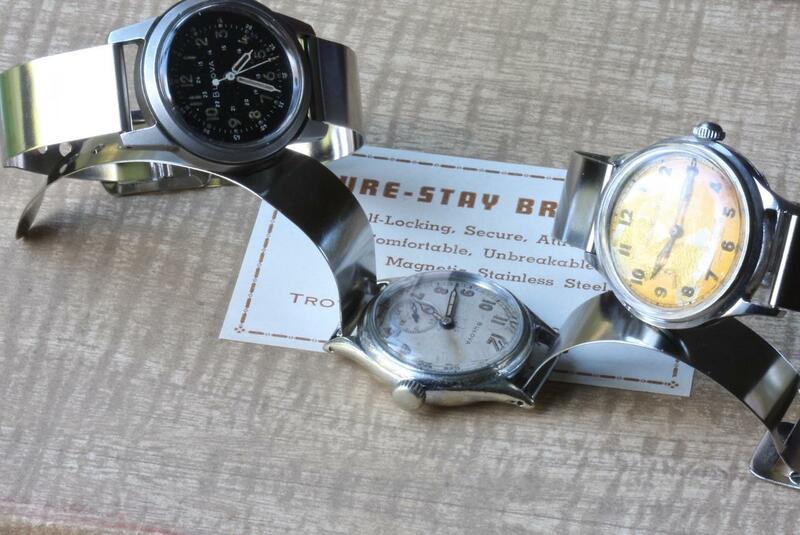 These bands will fit a wrist size from 6 1/4 inches (16cm) up to about 7 3/4 inches (19.5cm) with a similar size watch head attached as the A-17, which 34mm spring bar slot to slot. Price is $24.99 including U.S. shipping with tracking or $125 for 6 in the original display box. International buyers add $19.99 for shipping of 1 band or $29.99 for First Class shipping of a box of 6. I have many references here since the site began. 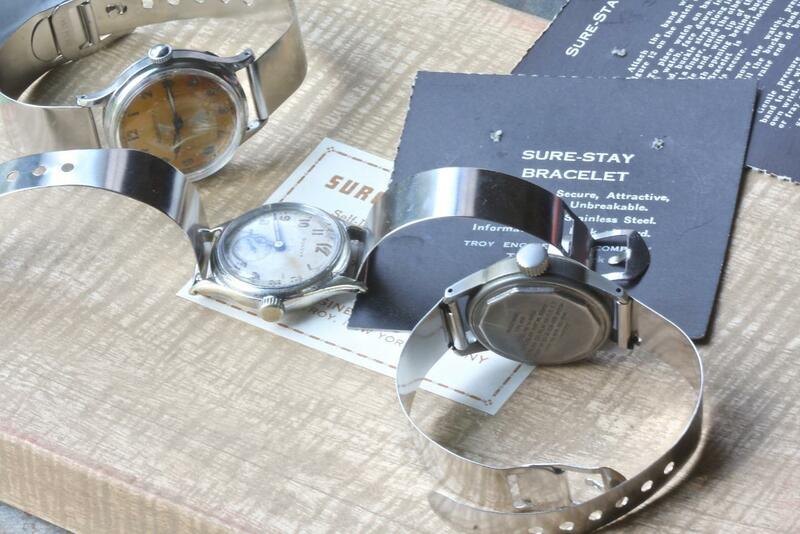 Visit my WW2 Watch Bands section at my site Squinky.com to see more interesting early vintage watch bands of that era.